Will Hugo Palmer have a winner from his pair running on Sunday? 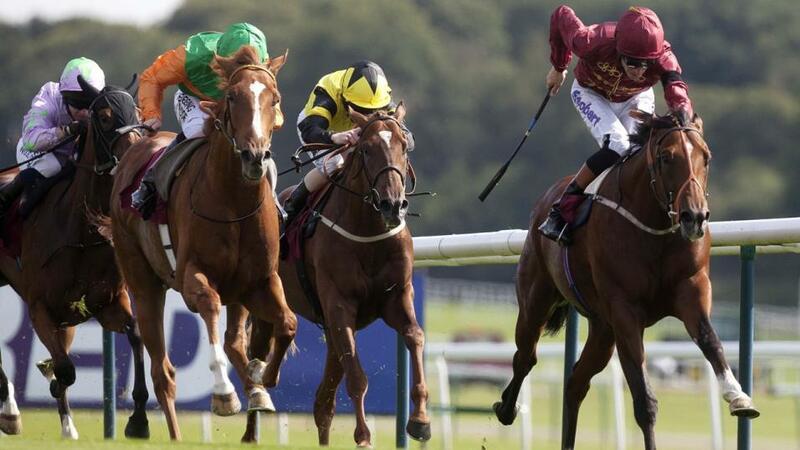 Hugo Palmer hopes to end the week on a high with his two runners at Bath and Curragh. Take a look at what he has to say about their chances. "He's a horse with tonnes of talent, and hopefully Ryan can get him travelling and into a good position behind the speed, wherever that is, and look to finish off strongly." I suspect you need to be drawn high to have a chance here, and we were drawn low last year with Humbert, who was just hung out on the wing as the field gravitated towards the stands rail. Hot Team is stuck in stall 2 here, which doesn't look great, although on the plus side, there is no better man to work out a bad draw than Ryan Moore. He's a horse with tonnes of talent, and hopefully Ryan can get him travelling and into a good position behind the speed, wherever that is, and look to finish off strongly. We know he stays seven furlongs, so we don't want to get too far back in a 20-runner field, and he's clearly going to need plenty of luck; for a first prize of €300,000, though, it's worth having a crack. Mystic Meg has promised a lot more than she has delivered, having held a Group 1 entry at one point, but she will effectively be racing off a 67 here when Jason Watson's claim is taken into account. She's drawn wider than ideal, but needs some cover, so it's not going to hurt her. Hopefully Jason can get her tipping away, and it's a nice long straight at Bath, so there should be excuses. She should have won at Windsor last time, but the door was shut on her at a really crucial point. Jack Mitchell felt that he had her beautifully settled and everything was going so nicely for him - he was absolutely convinced that she was not only going to win but win on the bridle without him having to go for his stick. Unfortunately, she got stopped and checked inside the final furlong, and it didn't happen for her. I guess we'll find out if Jack was right about that on Sunday afternoon.